You may be familiar with our weekly HUMPDAY blog posts, which tend to be on the lighter side in terms of content. For a more technical resource on all things related to Grace Engineered Products, we've developed the Knowledge Base; a one-stop shop for FAQs, product info, videos, and more. The Origin of GracePort® — Discover the origin of the GracePort® panel interface connector made by Phil Allen over 20 years ago. GracePort® Customization — In this article, learn the basics behind what we mean when we say you can completely customize your GracePort®. GracePort® Stainless Steel Housings — Why our Stainless Steel Housing options might be right for your industrial setting. 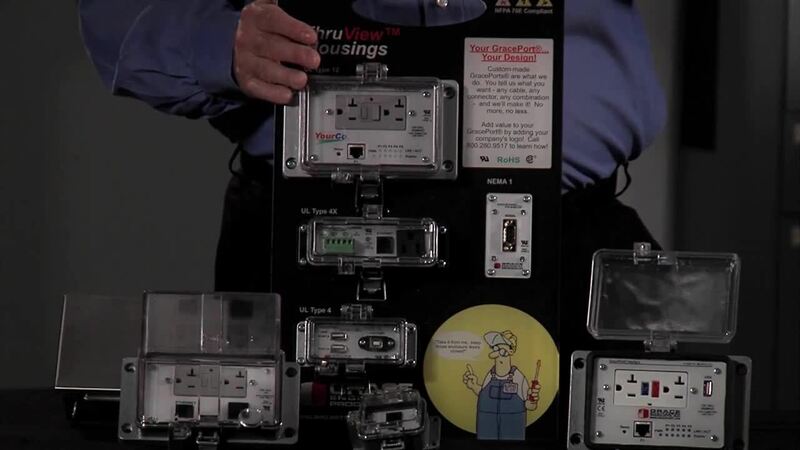 GracePort® Inside-Outlet™ — You may wonder why we have a GFCI outlet on the inside of the GracePort®. Here's the answer. Meet the GracePort® — Director of Sales, Dan Hebeisen, demonstrates the GracePort® panel interface connector from customization to features and functions.